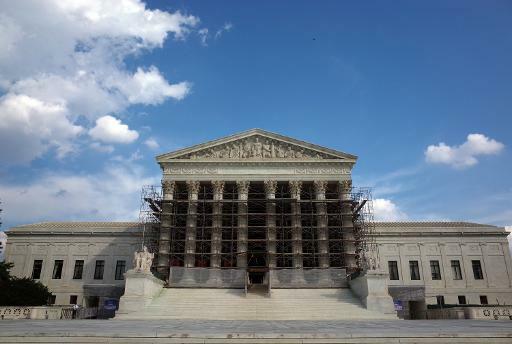 Washington (AFP) – The US Supreme Court agreed to take on six cases related to federal regulation of greenhouse gasses, mostly brought by industry and commerce groups. The court announced it was combining six lawsuits from plaintiffs in the chemical and oil industries, the US Chamber of Commerce, and the state of Texas, each protesting carbon-emission regulations put in place by the Environmental Protection Agency. All six cases address just one question: Whether the agency “permissibly determined that its regulation of greenhouse gas emissions from new motor vehicles” also related to emissions from stationary sources, such as factories and power plants, the court said. Opponents of the regulations, interpreted from the US Clean Air Act, claim that the requirements do not apply to them. The hearing will take place in early 2014 and marks the first time since 2007 that the court has heard such a major environmental case. The Obama administration, environmental protection groups and 17 US states had asked the Supreme Court not to hear the case. The court refused to consider three other appeals including on the EPA’s position that emissions pose a threat to public health. “The Court rejected pleas by big polluters and a small group of states to review the EPA’s authority to limit greenhouse gas emissions from vehicles and other sources when they endanger public health or welfare,” the environmental group Natural Resources Defense Council said. Industry groups, such as the National Association of Manufacturers, has criticized the regulations as bad for the economy.